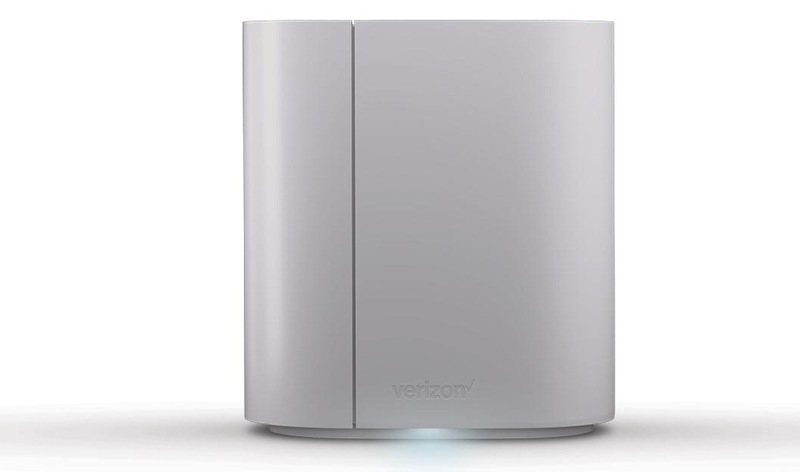 Verizon announced their new SmartHub this morning, a 4G LTE-equipped “design conscious” box that brings a Verizon 4G LTE connection to your home, while also acting as a smart home controller. The dirty details are scarce on this guy at the moment, but I’m guessing this is very much like Sprint’s Magic Box. The SmartHub costs $199.99 if you buy it outright or $99.99 with a 2-year contract. So while – again – the details here are limited until it launches tomorrow, May 25, this does differ from Sprint’s option in that you need to sign-up for service it seems. That’s unfortunate if the case. But with SmartHub, Verizon hopes you’ll use their 4G LTE connection over your potentially slower WiFi connection. You can connect any WiFi enabled device to it, since it essentially acts as a WiFi router that pushes LTE. Their press release mentions something about keeping your existing home phone with the SmartHub, so I’m assuming that means it does some form of calling? Who knows, because the listing for the unit isn’t live and this press release is trash, to be honest. Whether you buy it on-contract or full retail, you’ll have to buy service for it. Just know that if you buy it at full retail, Verizon will charge you a $30 activation fee too. It includes a 2500mAh battery, so should you lose power, you’ll have some juice to keep you connected for a while. The SmartHub is releasing with a new Verizon Home app as well. This app will help you control smart home products like your smart lights, locks, thermostats, etc. The app listing says it works with products from Aeon Labs, Fibaro, Honeywell, Nest, and Phillips. It’ll also show you usage controls from the SmartHub, set routines for device connections, and that sort of thing. The SmartHub launches tomorrow and the app is available right now. Once we have better info outside of the press release we linked below, we’ll update this post.